PZL-Mielec An-2P HA-ANI was used for sightseeing-flights at the 20th Oldtimer Fly-in at Schaffen-Diest in 2004. The Antonov was built in 1972 as an An2P by PZL-Mielec in Poland. The Soviet Air Force operated the aircraft until it was transferred to the Hungarian Air Force in 1982. 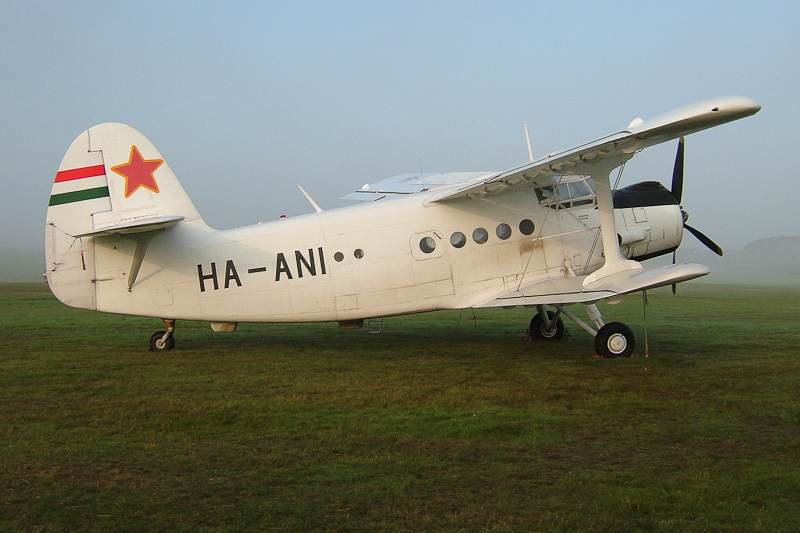 The An2P was registered in Hungary as HA-ANI and operated by Thermal Aero before it was sold to Stichting Antonov Nederland in the Netherlands. However the owner is Dutch and the operational base of the An2P is Texel airport in the Netherlands, the aircraft will remain registered HA-ANI in Hungary.